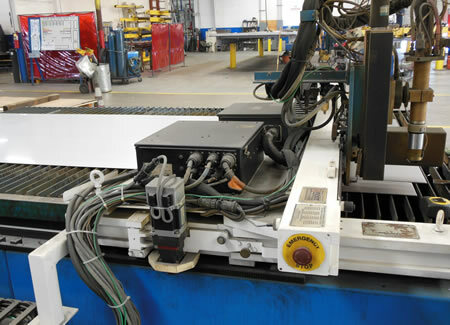 Fabrication Technologies | R.J. Kates Co. 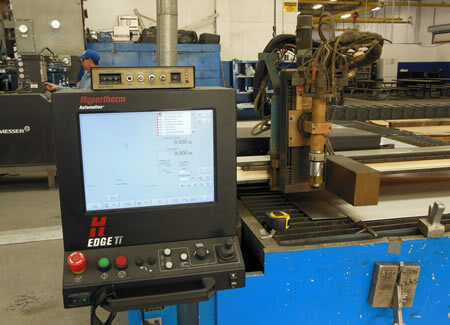 Fabrication Technologies Industries Inc. is an ASME Certified Welding and Steel Fabrication Company and has been in the steel fabricating and welding business for over 40 years specializing in cutting and welding all types of alloys, such as carbon steel, stainless steel, copper nickel and aluminum to name a few. 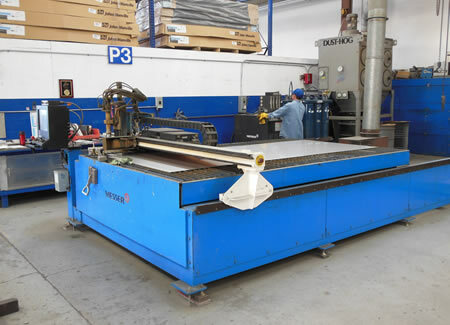 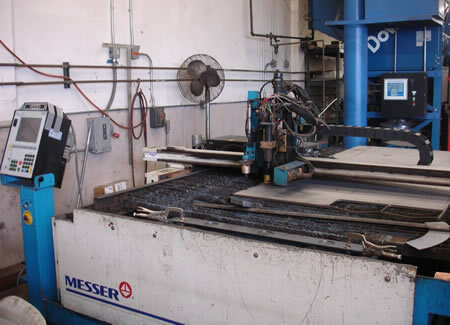 The following images show a R.J. Kates replacement and retro-fit of a Messer plasma cutting system using a Hypertherm system for Fabrication Technologies. 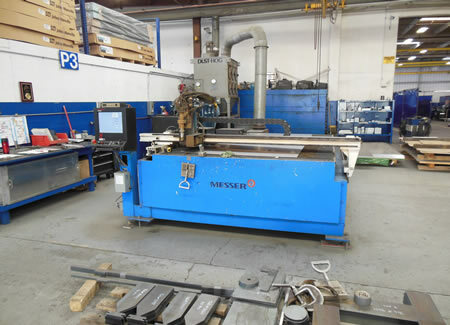 The upper-left image was the old Messer cutting equipment that was removed. 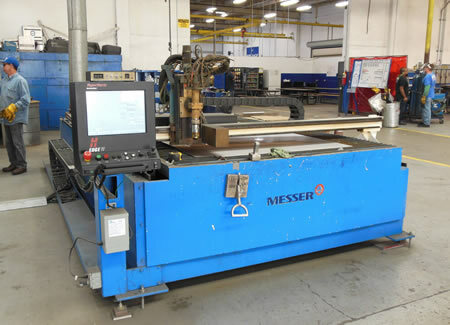 The other images are of the new Messer equipment with the new Hypertherm CNC system.